Trying to play catch up with the latest and greatest will cost you a pretty penny. The average enthusiast tries to acquire the best technologies for cheap; the same goes for gamers since most everyone wants to save money. 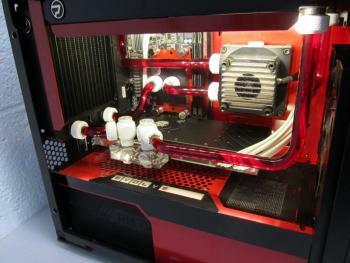 If your budget is a little over $200 USD for a motherboard and CPU, finding the right combination could be a challenge but going the AMD route has proven to be an economical choice over the years. 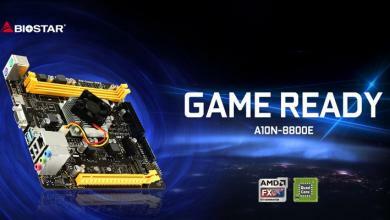 Since AMD’s FX line has a received a life extension with the release of more options for their 8-core FX processor line, many mainboard manufacturers such as MSI have also released new 970 chipset motherboards that bring modern gaming amenities to AM3+ processors that were not previously available back when AM3+ processors were first introduced. 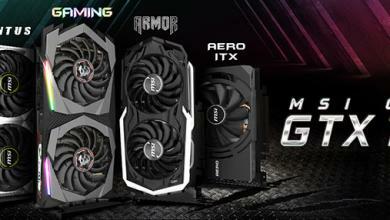 The MSI 970 GAMING motherboards supports a wide range of AMD AM3+ processors and provides gamers with an affordable gaming platform to build a system. 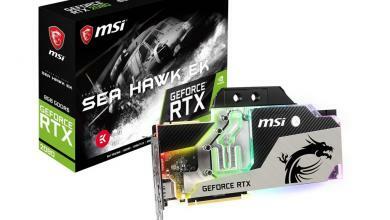 Unlike other 970 chipset motherboards that have a default PCI-E Gen.2 split of 16x/4x however, MSI’s 970 GAMING motherboard is able to run dual video cards in 8x/8x configuration for optimal Crossfire performance and enables NVIDIA SLI support since that multi-GPU setup requires at least 8x PCI-E 2.0 to run. 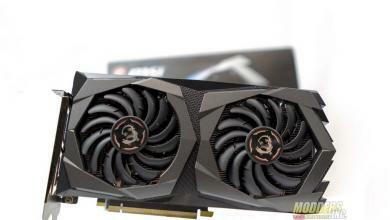 The 970 GAMING is also outfitted with a Killer E2205 Gigabit LAN controller and Realtek ALC1150 HD audio codec for superior gaming experience compared to a regular 970 chipset mainboard. Since this motherboard is designed for gamers, MSI displays its features pretty much all over the motherboard box. 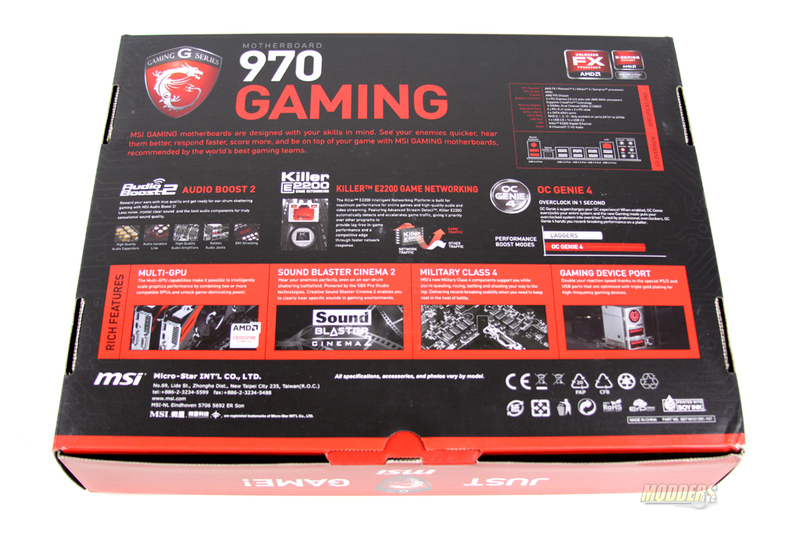 The color scheme of the packaging is black and red. There are no crazy flames or anything over the top, however the packaging does a good job describing of what you are buying. 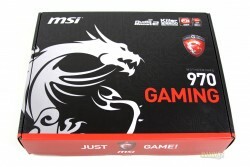 On the front of the box we see MSI’s signature dragon with some of the hardware features on the top. 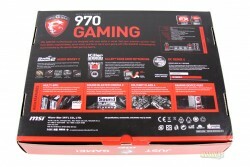 On the back of the box, some of the 970 Gaming’s unique features are listed such as MSI “Military Class IV” components, Killer network support, OC Genie and more. 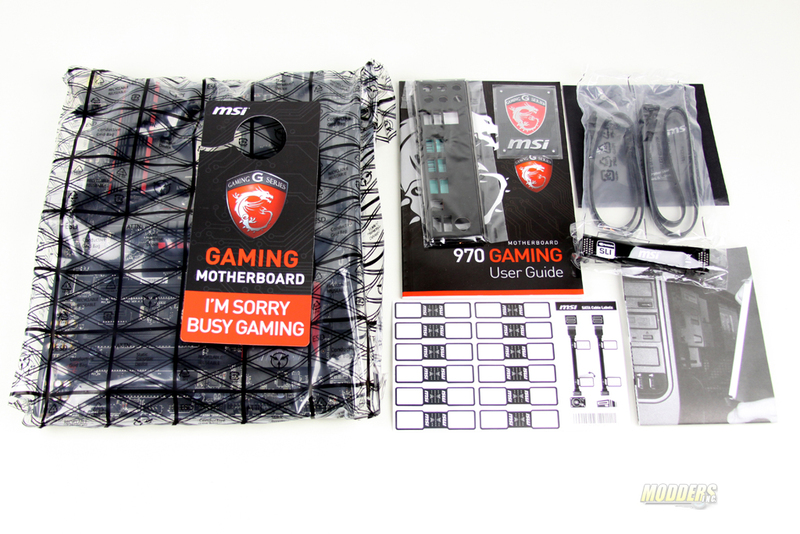 The Accessories included with the motherboard are: SLI bridge, a couple of latching SATA cables, IO Shield, Driver CD, sticker tabs for labeling cables, user guide, mounting guide, a case badge and my favorite – a Do-Not-Disturb door sign. 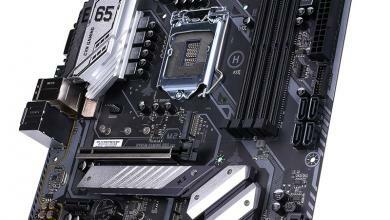 To protect the motherboard from any static discharge, the motherboard has been placed inside an anti-static bag. *Supports Windows 7 and Windows 8/ 8.1. LAN 1 x Killer E2205 Gigabit LAN Controller** The Killer Network Manager is only available for Windows 7 and Windows 8/8.1 currently. The supported drivers for other operating systems would be available on the website if provided by vendor. 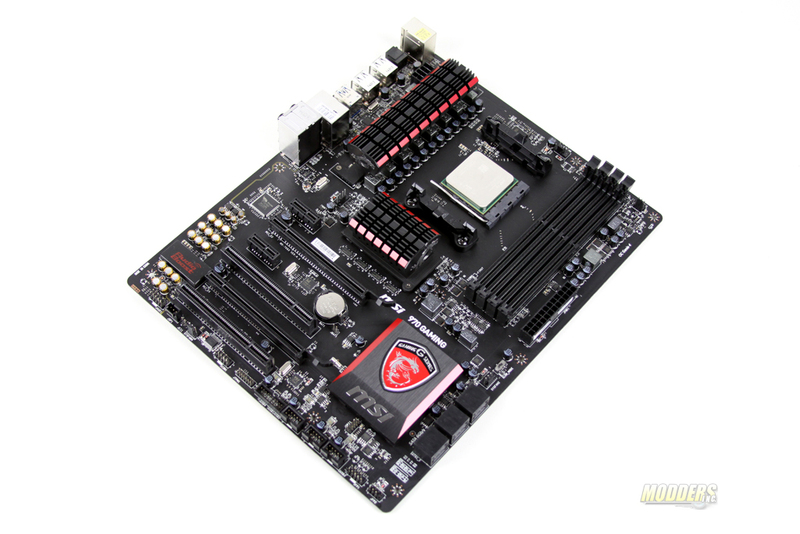 BIOS The motherboard BIOS provides “Plug & Play” BIOS which detects the peripheral devices and expansion cards of the board automatically.The motherboard provides a Desktop Management Interface(DMI) function which records your motherboard specifications.